All players on FunGoPlay can now participate in our weekly tournaments! Every week we feature a new tournament game. Your goal is to rack up as many points as you can for your team. The more you play, the more you add to your team’s totals!! At the end of the week, the teams and players with the most points win trophies and prizes. 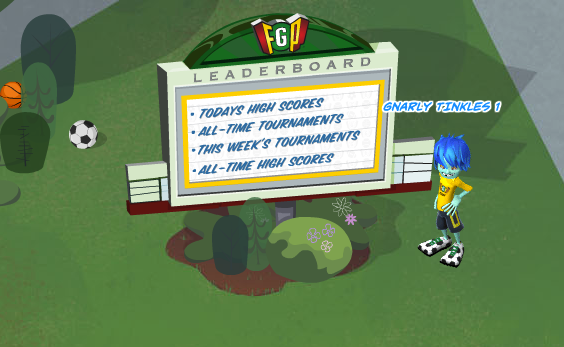 You can check the status of each weekly tournament by visiting the Leaderboards in SkillVille, or just click Stat Book, if you’re on the go. This week’s tournament is BOMBS AWAY! and takes place at Rifle Arm Riot in Skillville. 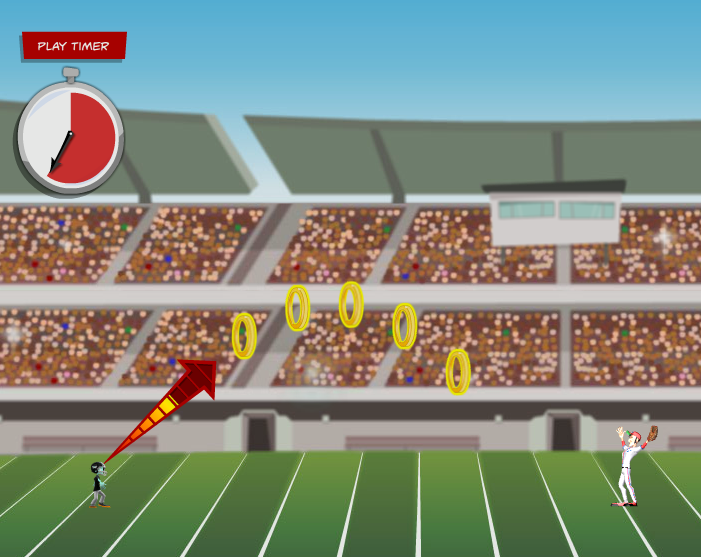 Just head over to the football field, play the game and start tossing some sweet spirals!! Posted by fungoplay on October 11, 2011 in Tournaments!! !.